מאת יובל ~ 15 בנובמבר, 2011. בקטגוריית: English, ארה"ב, ביקורת יין, יין, מדריכים. 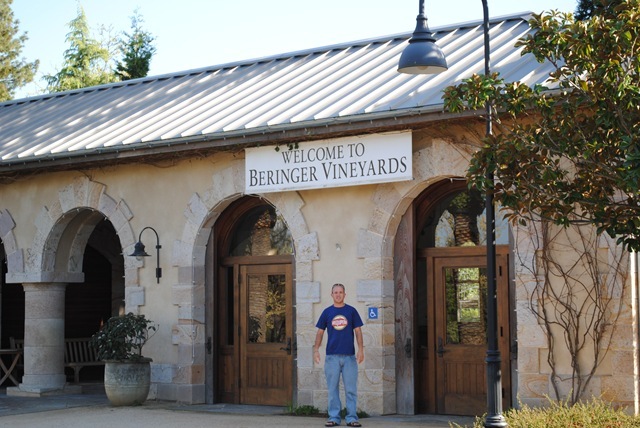 While visiting my parents in the USA for Passover, I also decided to visit another well known wine region in California – Napa Valley. 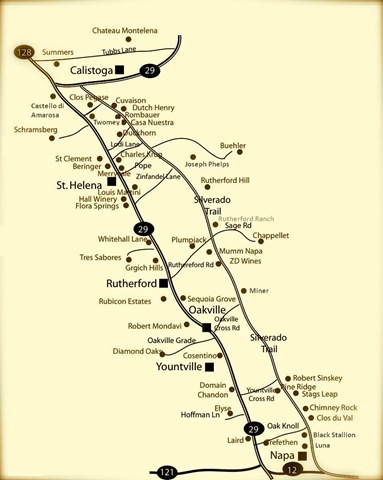 Except for reading a few articles and drinking some Californian wine, I didn't know much about this wine region. Luckily, before I flew in from Israel, there was an article on Napa Valley tourism in the wine magazine that I'm subscribed to. I've already found a cheap flight and made reservations to rent a car. My Aunt and Uncle, who live in Sacramento, were thrilled to have me visit and spend some time with them. I haven't seen them in a while, and this was a good chance to catch up in between good bottles of wine. 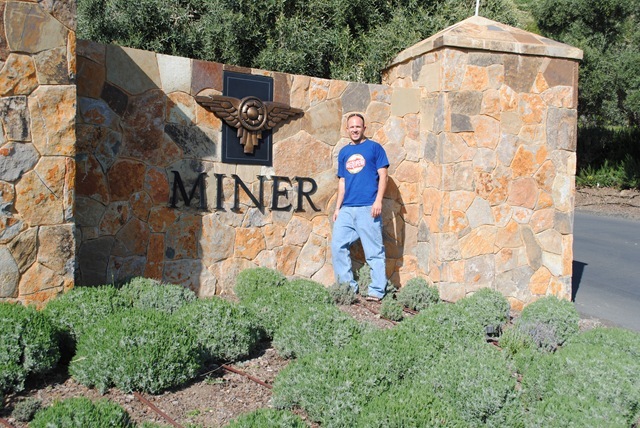 A couple nights before my flight, I roamed the net to find some interesting wineries to visit and explore. Napa Valley is full of so many wineries, one would not know where to start. I took down some numbers, addresses, and opening hours. My Uncle dropped me off at the car rental shop early in the morning. He gave me directions to Highway 80 going west. After seeing the first sign to Napa Valley, it was smooth sailing from then on. I stopped at the tourist info center in the town of Napa to receive a few more recommendations on the area hot spots. 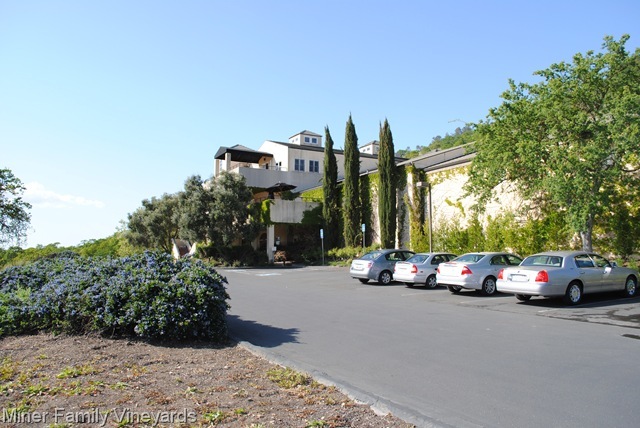 I drove out of town, and the second I turned left onto the Silverado Trail, I knew that "Yuval's Adventures in Wine Country 2" were about to begin. 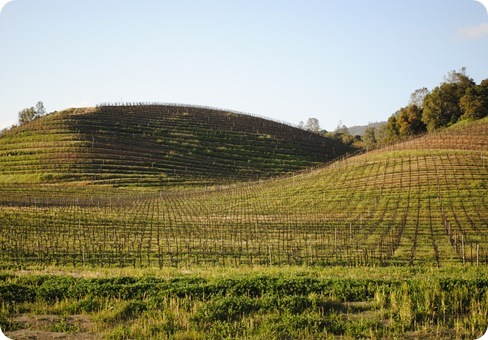 It's unnecessary to state, that around every corner and hill there are beautiful vineyards that volunteer their juicy and spectacular fruit to concoct this amazing beverage called wine. At 9 o'clock in the morning I already "bumped" into my first winery. 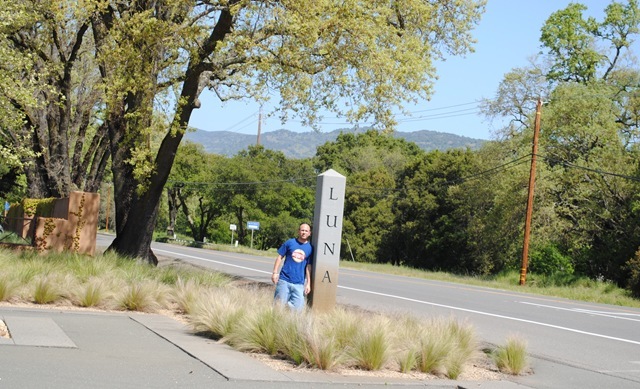 I parked in the Luna Winery parking lot and wasn't surprised to be the only one there. I said my good morning and skimmed through the tasting menu. 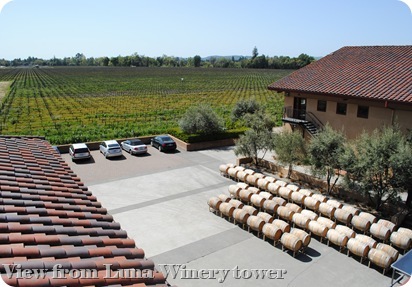 After I paid, and served my first tasting, the girl suggested I climb up the tower to get a look at the view. 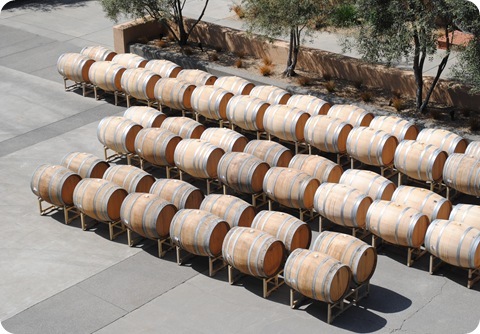 A very nice view indeed, as I also photographed the winery's barrels getting tanned. The only reason I climbed down was because my wine glass was suddenly empty, and I felt the need to fill it up again. Because I was so excited to be in Napa Valley, I totally forgot to write down some notes on the wines I tasted. I think I tasted a Cabernet Sauvignon, Merlot, Sangiovese and a Zinfandel as well. 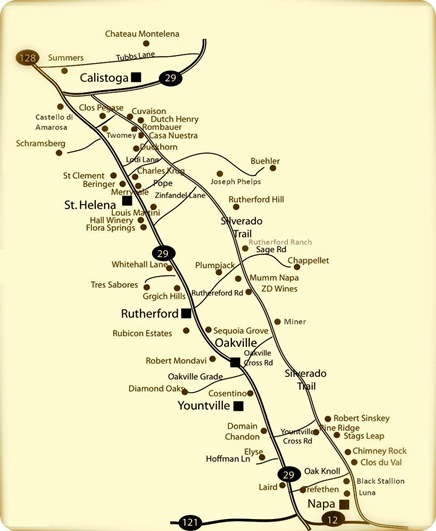 On most of the wines labels, the winery lists the valley, county, or even the vineyard's name. For most wines described in this article I didn't add all this information, except for a few tastings. 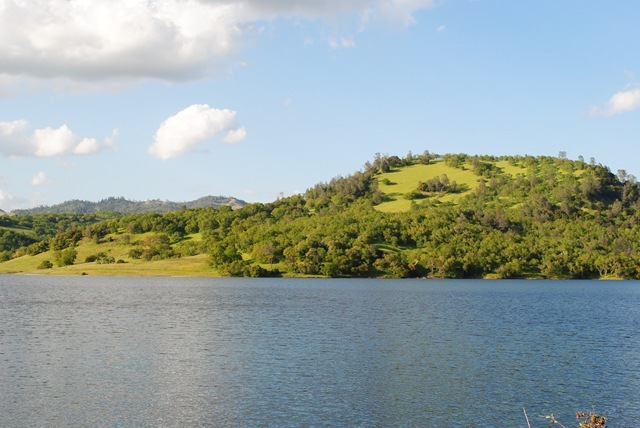 Some names for example are – Russian River, Oakville, Anderson Valley, Sonoma Coast, Knights Valley, Carneros, and Napa Valley. 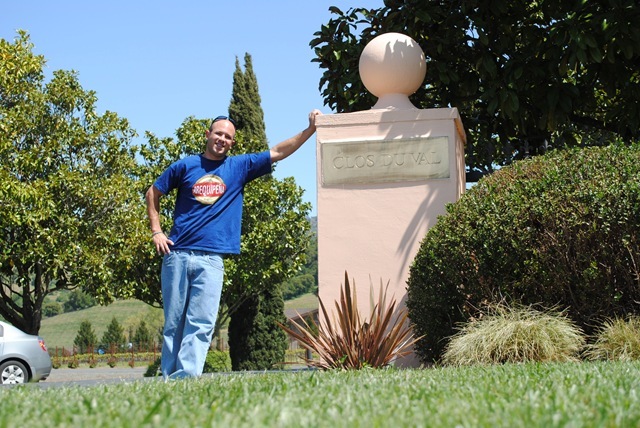 I kept on driving north and turned into Clos Du Val Winery. I parked and walked in. I started talking to the owner and apparently I'm the first Israeli to visit the winery (for some reason I doubted him, but anything is possible). I took out my small notebook and started to taste wines, real good wines. I started with the Ariadne 2008 (Ariadne was Dionysus's wife, the God of Wine). The wine is a blend of Semillon and Sauvignon Blanc. The wine had a real light golden color, with aromas of vanilla and flowers. Some tastes included pear and lichee, with a light body and a great fruity crisp finish. I'm not one who is fond of many white wines, but this wine was really amazing. Of the red wines, I enjoyed the Cabernet Sauvignon Stags Leap District Napa Valley 2005 the most. 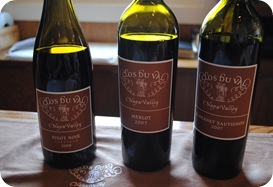 The Cab had a dark ruby color, with aromas of plum, cherry, vanilla, oak and a bit of leather. Tastes included cherry, oak, and strawberry, with a full body and a round fruity finish. I also tasted a Chardonnay, Pinot Noir, Merlot and another Cabernet Sauvignon. I truly enjoyed myself at the winery, not only because of its wines, but also because of the service. A proven fact is when you are the only one around, everybody focuses on you, and that's exactly what happened. I bought my second wine bottle opener even though it had an unusual shape (compared to my other openers). 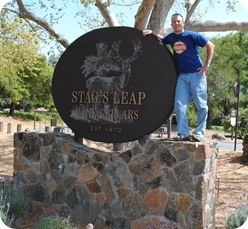 The next winery I visited was Stag's Leap Wine Cellars. Maybe because of the wines tasted before, these wines seemed to not have any power, any character. 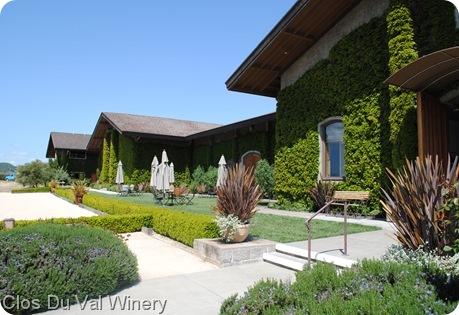 I tasted a Sauvignon Blanc, a Chardonnay, a Merlot and a Cabernet Sauvignon. I enjoyed the Cabernet the most. Even though the wine was too harsh with a really tannic finish, tastes included soft vanilla and some dark chocolate. 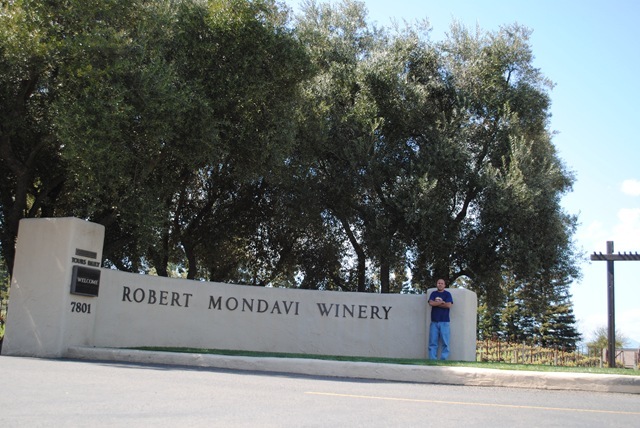 The next winery is one of the biggest and oldest in Napa Valley, Robert Mondavi Winery. 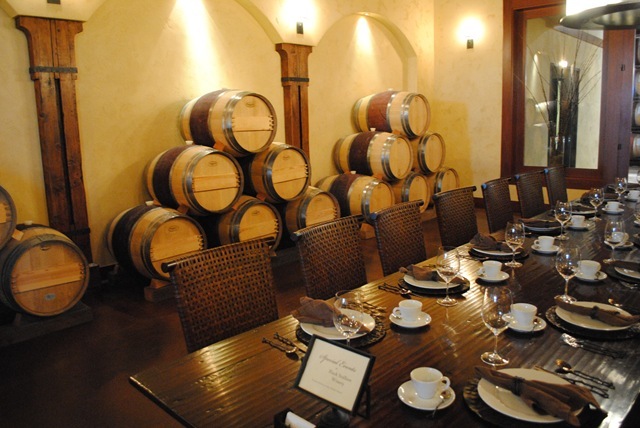 The winery has 4 types of tastings. The most expensive tasting on the list was a $500 per person tasting. 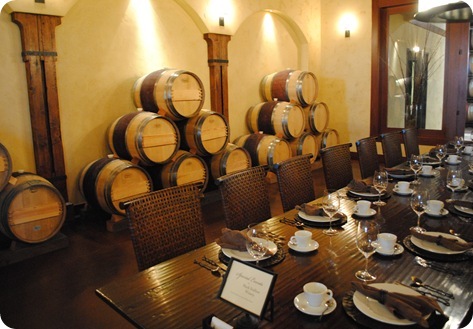 This included a big and intensive tour of the winery grounds, a deep and extensive reserve wine tasting and an exclusive chef dinner. A medium type tasting costs $50 and includes a few reserve wines. I decided on the cheapest tastings, where I picked 3 wines to taste for $15. Out of the 6 wines I could pick, I picked a Fumé Blanc 2007, a Pinot Noir 2008, and a Cabernet Sauvignon 2006. The Fumé Blanc had a nice golden color, with aromas of lichee, mango, pineapple, and a bit of lemon. The wine's tastes included lichee, mango, flowers, a bit of vanilla and oak, with a light body and a fruity finish. The Pinot Noir had a ruby color, with aromas of cherry, flowers, plum and strawberry candy. The wine's tastes included cherry, oak, plum and strawberry, with a medium body and a fruity round finish. 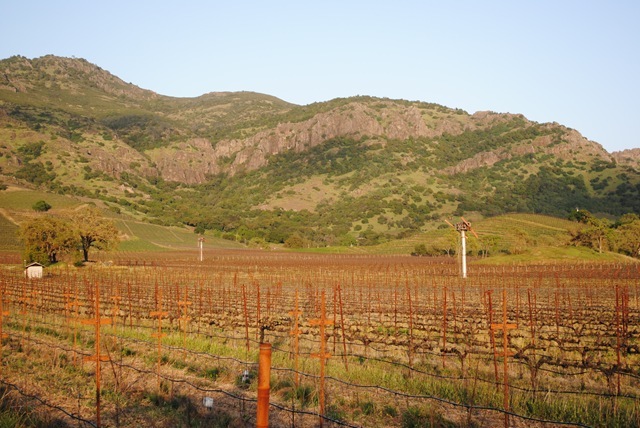 The Cabernet had a dark ruby color, with aromas of dried plums, cherry, oak and a touch of burnt cigar. The Cab's tastes included plum, oak, leather and cherry, with a harsh fruity aftertaste. Overall I had a great time at the winery. I walked around the sunbathed yard, looking at the vineyards and drinking wine. 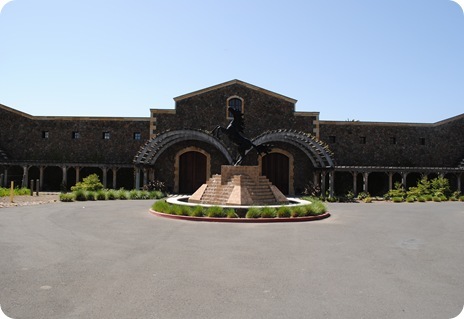 The winery also has a big wine shop, where I bought my third wine bottle opener. 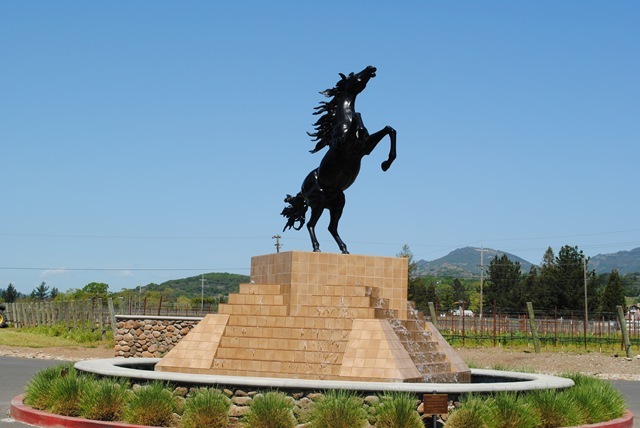 After Robert Mondavi Winery I took a left onto Oakville Cross Road and crossed back to the Silverado Trail. I took another left and after a short drive I turned right into the parking lot of MINER Family Vineyards. To my surprise I was the only one there. I really look forward to these situations because then you are the only center of attention and you are the only one focused on. I started the tasting when the brother of the winery founder stopped by for a tasting. While we started talking and got into a very interesting conversation, I discovered that the founder's roots were immigrants from Persia, and came to the US in 1914. Of course the conversation shifted to me, where I told them that I'm from Israel. 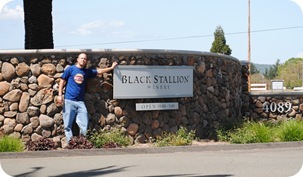 They knew about the Golan Heights Winery of course. He poured me some of the ORACLE 2006, which I'm not sure I would have tasted if he hadn't poured if for me. We continued our conversation for about 15 minutes until he had to go. From then on, the wine pourer at the bar pretty much poured me anything I wanted. Overall I tasted 8 wines – a Viognier 2008, Chardonnay 2008, Pinot Noir 2008, Sangiovese 2007, Merlot 2006, Cabernet Sauvignon 2006, ODYSSEY 2008, and the ORACLE 2006. I enjoyed both blends the most. 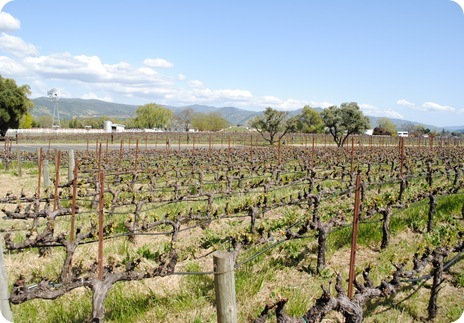 The ODYSSEY is a blend of Grenache, Syrah, and Mourvédre. The wine had a dark ruby color, with aromas of cherry, plum, vanilla, and raspberries. Tastes included plum, cherry, milk chocolate, some oak and leather, with a full body and a fruity round finish. The ORACLE is a blend of Cabernet Sauvignon, Cabernet Franc, Merlot, Malbec, and Petit Verdot. 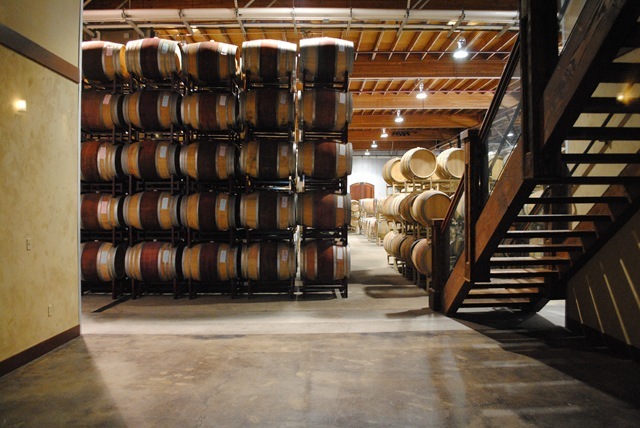 The wine had a dark ruby red color, with aromas of cherry, oak, fresh red meat and spices. Tastes included plum, cherry, oak, black pepper, with a full body an oaky round long-lasting finish. I enjoyed myself tremendously until a noisy crowd walked in. I took my glass and walked into a small glass room that displayed all the winery's wine throughout the years. After putting my wine glass on the bar for the last time, I asked how much a wine bottle opener costs. The girl just handed me one (my 4th), and said that she hoped I had a good time. I said my thanks and told her that I had an amazing time and some great wine as well. 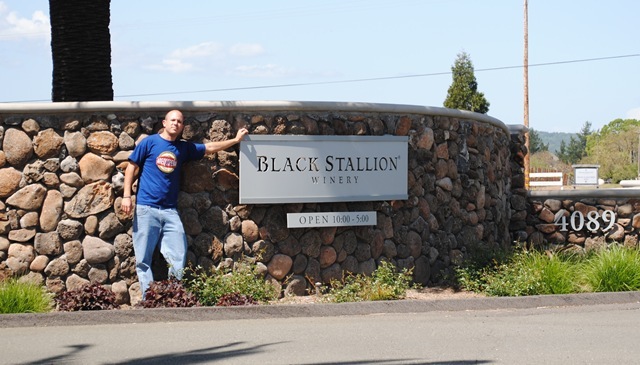 I have no idea how I arrived at the last winery that I was about to visit. I tasted so much wine that if a vampire would bite my neck, he would surely get drunk. 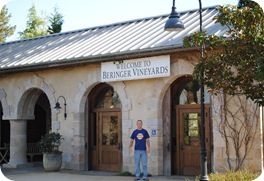 My last stop was Beringer Winery. 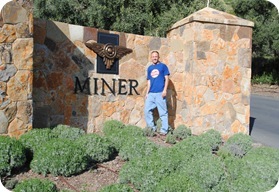 There were loads of people at the winery and the tasting room, so compared to MINER it felt like I was invisible. I tasted 3 wines – a Merlot 2006, Pinot Noir 2007, and a Syrah 2006. I enjoyed the Syrah the most. The wine had a dark ruby color with aromas of black cherry, oak, plum, vanilla and some leather. Tastes included cherry, oak, leather and a hint of dark chocolate, with a full body and a round oaky finish. 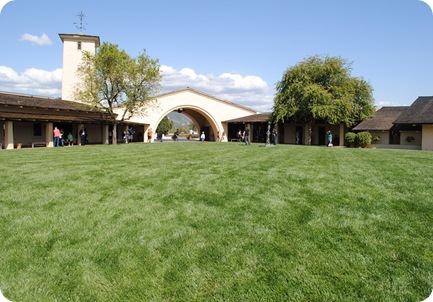 Now that I know the winery a bit better, I will not come back, there are much better wineries around. On the way out I bought my 5th wine bottle opener. I let myself fall asleep in the car for a couple hours, and when I woke up it was already dark outside. I felt much better and therefore started to drive back to Sacramento. What amazing experiences and of course great wine. Here are a few more pictures of this amazing day. 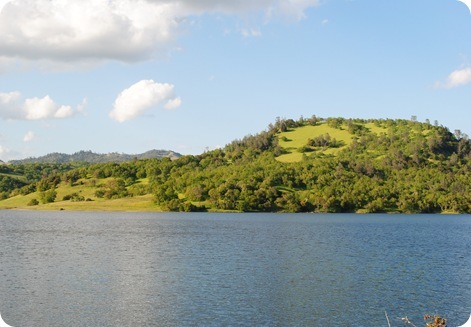 I sat by the lake eating some fresh bread and cheese with black olives, dreaming of being on the grassy slope with my beautiful wife. I had a great day. I met some great people who love wine and know a lot about it. I tasted and drank a lot of good wine as well. I'm already looking forward to tomorrow. And this was ONLY your FIRST day??? I can only imagine how day 2 and 3 went…can't wait to read about it!! See, Zohar, this is why you should schedule your USA trips around mine and not around your friends' weddings! !